2017 Region 2 contest: First Place with a score of 677. 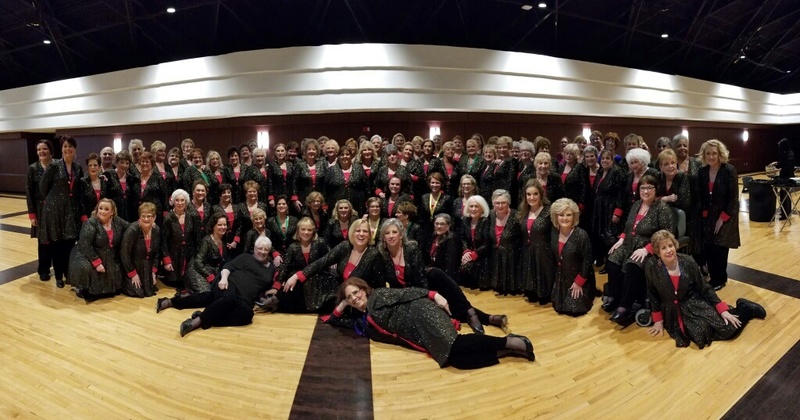 This was our first contest as the newly formed Motor City Blend Chorus. We officially merged four months prior to this contest and in those four months we worked very hard to learn our music, learn the choreography and to costume 100 women. Our score was the highest score Region 2 has ever had! This qualified us for the International Contest in St. Louis in October 2018.